Posted by Ted Nitza, P.E. It is great to see a client nationally recognized for their drive and dedication to build better communities. 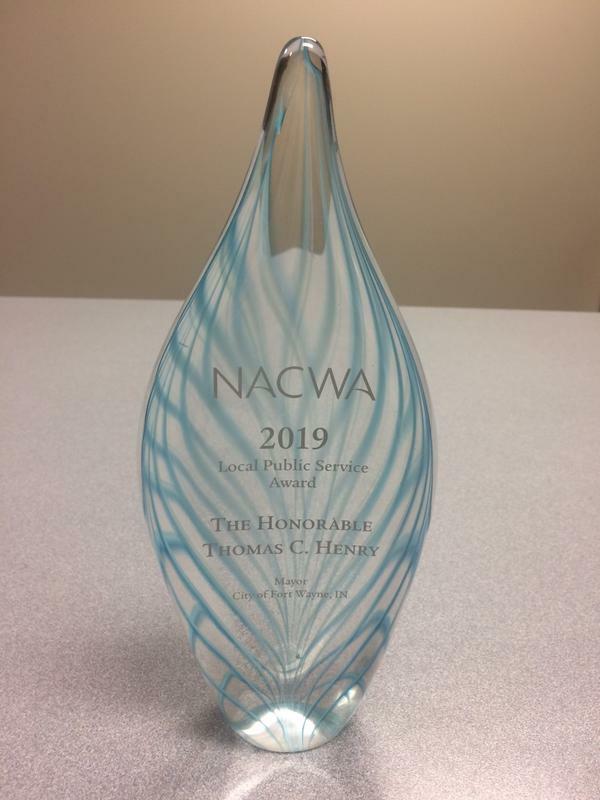 Fort Wayne Mayor Tom Henry recently received the 2019 National Environmental Achievement Award for Local Public Service by the National Association of Clean Water Agencies (NACWA). Mayor Henry received the award for his dedication to protecting water resources, cleaning Fort Wayne’s rivers and reducing energy costs. The award recognizes public officials at the local, state and federal levels of government “who have demonstrated exemplary commitment to service in their community and protecting the environment.” Henry was one of five public servants presented with the award. Recipients included one federal level, two state leaders and two local leaders from across the country. Mayor Henry was selected by NACWA officials based on his accomplishments that have made a difference throughout Fort Wayne and surrounding areas. Fort Wayne and the surrounding areas are not only seeing public health and environmentally-friendly benefits, but the community is also experiencing lower utility rates and considered a most affordable place to live and invest. Mayor Henry has been a steady force for Fort Wayne City Utilities initiatives insisting on affordable updates to infrastructure, the reduction of runoff pollution from waterways, utilization of greener methane generated power and improvements to prevent and better mitigate flooding in neighborhoods. Congratulations Mayor Tom Henry and everyone involved. 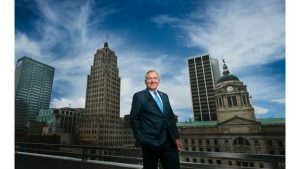 Learn more about Fort Wayne Mayor Tom Henry’s clean water initiatives in the press release by the City of Fort Wayne.